“Peter Bergen is CNN’s national security analyst, a vice president at New America and a professor of practice at Arizona State University. 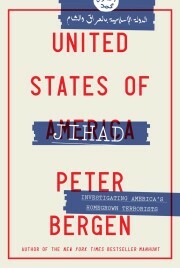 He is the author of “United States of Jihad: Investigating America’s Homegrown Terrorists.” The opinions expressed in this commentary are those of the author; view more opinion articles on CNN. (CNN) British soldier Lance Corporal Jamie Webb, 24, died from the blast of a roadside bomb in southern Afghanistan in March, 2013. It is the first and only war waged under NATO’s Article 5 collective defense obligation that an attack on one member country is an attack on all its members. That war was, of course, triggered by an attack on President Donald Trump’s hometown of New York on September 11, 2001. The contrast of NATO allies’ support for the United States in Afghanistan and the behavior of Russia is both striking and telling. In March, the top US commander in Afghanistan, Gen. John Nicholson, told the BBC that Russian weapons were being smuggled to the Taliban and that they “provide some degree of support to the Taliban.” (Russia has denied these allegations). Departing for his trip to the NATO summit and then on to the UK, Trump on Tuesday said, “I have NATO. I have the UK, which is in, somewhat, turmoil. And I have Putin. Frankly, Putin may be the easiest of them all. Who would think?” Who would have thunk, indeed. Yup, it’s just so much easier to deal with Putin, who invades neighboring countries at the drop of a hat, attempts to swing American elections as a matter of routine, and has political opponents jailed and even killed. There was, of course, a time when that was true, when the Soviet Union lorded it over communist East Germany. It’s precisely because of the NATO alliance that stood up to the Soviet Union that, today, East and West Germany are a unified liberal democracy. Trump’s berating of allies and embrace of enemies might make sense if there were some kind of grand strategic plan behind it, but it’s hard to discern one. Trump has slapped tariffs on European imports such as steel and aluminum, and the Europeans are increasing their own retaliatory tariffs on American products such as motorcycles and orange juice. Is a trade war with the EU really a smart idea? Hardly, since the EU is the world’s largest trading bloc, considerably larger than the United States or China. And is attacking America’s NATO allies smart? If anyone can supply a meaningful rationale for this, I’d like to hear it.